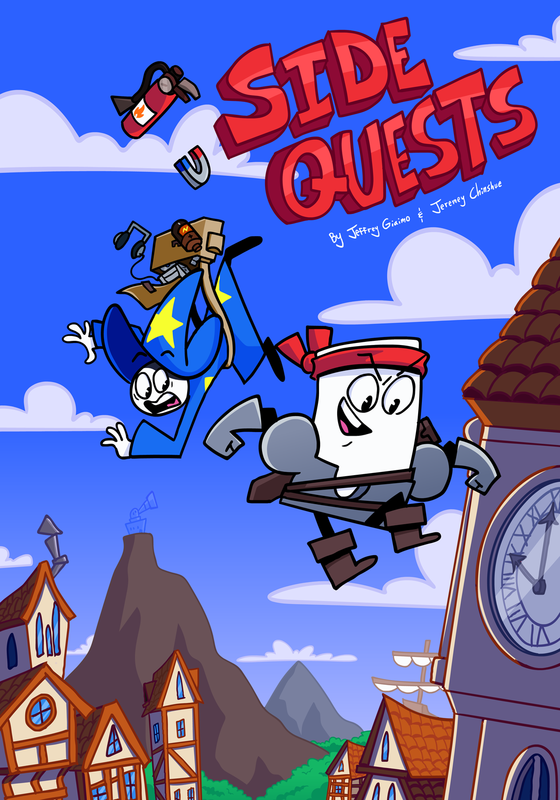 Join Jeff and Jeremey, two ambitious Questers, as they try and make a name and dollar for themselves as the town heroes of Dexy's Midnight Runners! As for the comic, it probably won't update again, but who knows! But, Jeff. Why do you have such big eyes? This comic already looks more sexier looking than LF! God move on keeping jer and jeff as the main characters! They are your bestest LF characters! Lolvely site backgrounds, gotta say. This is literally one of the best, if not the best, web comic I have ever read! I love it! Keep it up! Just finished reading the comic. Sad that it's over I really wanted to see more singing numbers and more epic battles. I will never be able to read another web comic of this calliber. 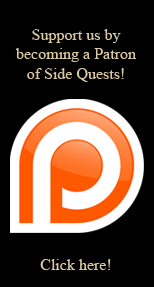 Side Quests songs, story, and characters copyrighted by Jeffrey Micah Giaimo and Jeremey Neil Chinshue (TerminalMontage).